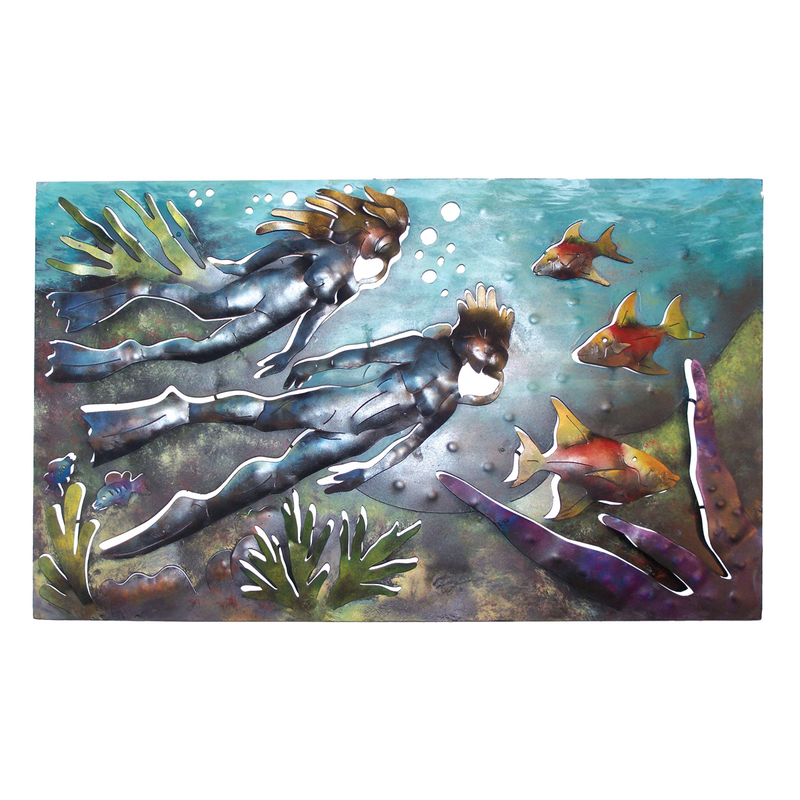 Accent your undersea home with the Divers Metal Wall Art. This beach wall art features a sea life scene with cut-out and dimensional details. For many more pieces, we ask you to make time to look at our full assortment of beach wall art at Bella Coastal Decor today.